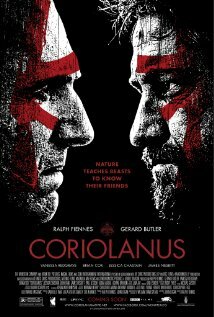 Buy or Rent Coriolanus (2011) Movie DVD & BluRay Online! Movie Plot: The citizens of Rome are hungry. Coriolanus, the hero of Rome, a great soldier and a man of inflexible self-belief despises the people. His extreme views ignite a mass riot. Rome is bloody. Manipulated and out-maneuvered by politicians and even his own mother Volumnia, Coriolanus is banished from Rome. He offers his life or his services to his sworn enemy Tullus Aufidius.